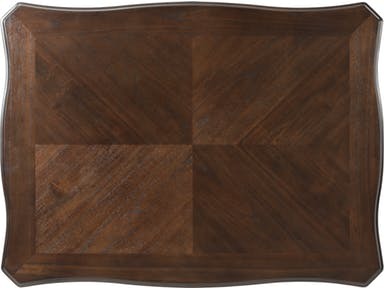 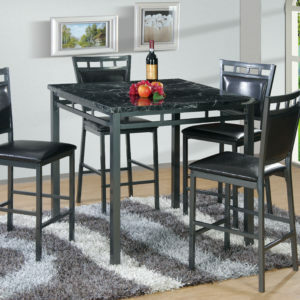 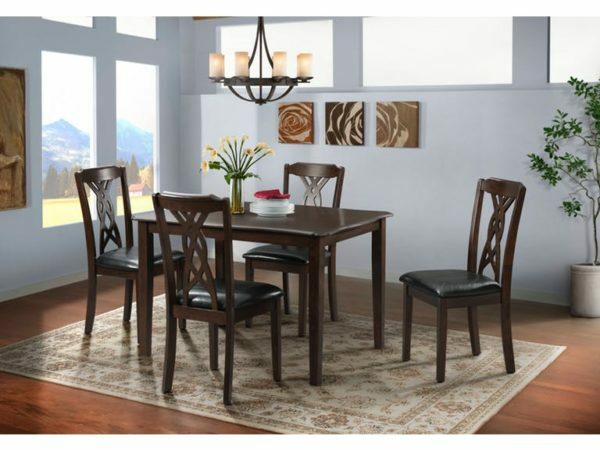 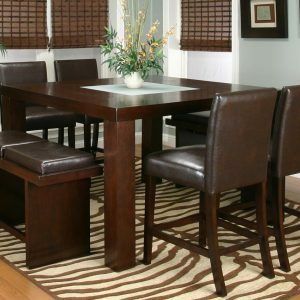 This delightful dining set has beautiful scalloped edges on the table – small in size but big on value! 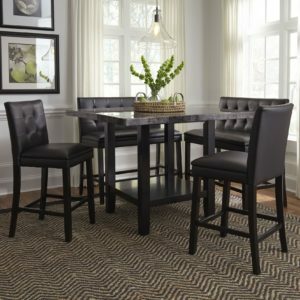 Crisscrossed backs and padded seats on the chairs complete this set. 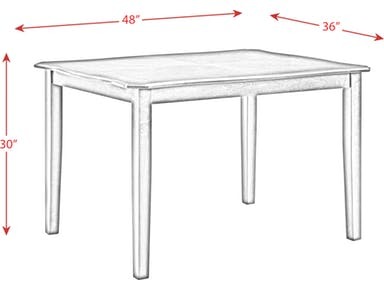 The table has a solid top with no leaf.